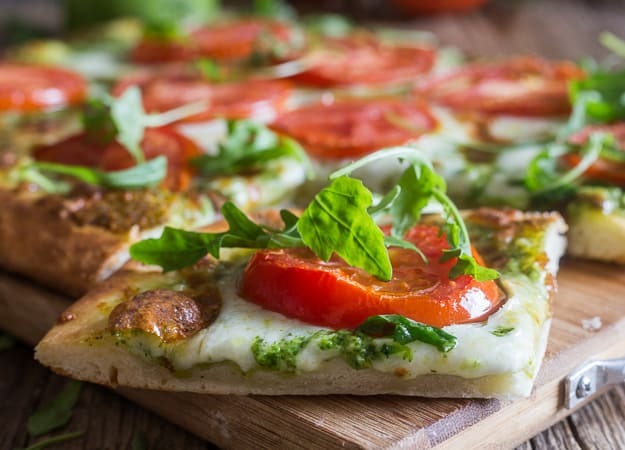 Pesto Pizza is the perfect delicious change from a regular Pizza Margherita, a creamy Pesto makes the perfect base, then topped with slices of fresh tomatoes and shredded mozzarella. Pizza night never tasted so good! Lately I have been in the Pesto mood and needless to say this Arugula Pesto is probably one of my favourites. I love the sharpness of rucola and I love to put it on everything! Once I made the pesto and used some of it on our pasta one day for lunch I knew I was going to make some incredible recipes with the remaining pesto. 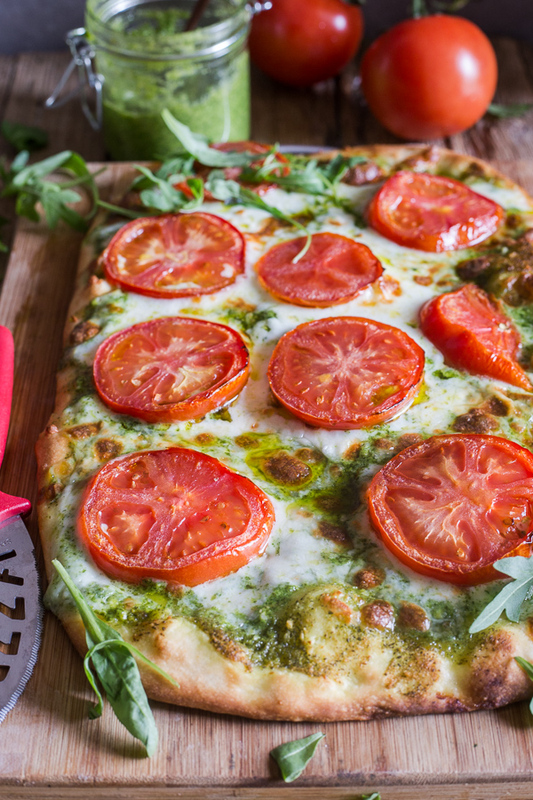 And make them I did, to start this Simple but tasty Pesto Pizza with Mozzarella and Fresh Tomatoes. 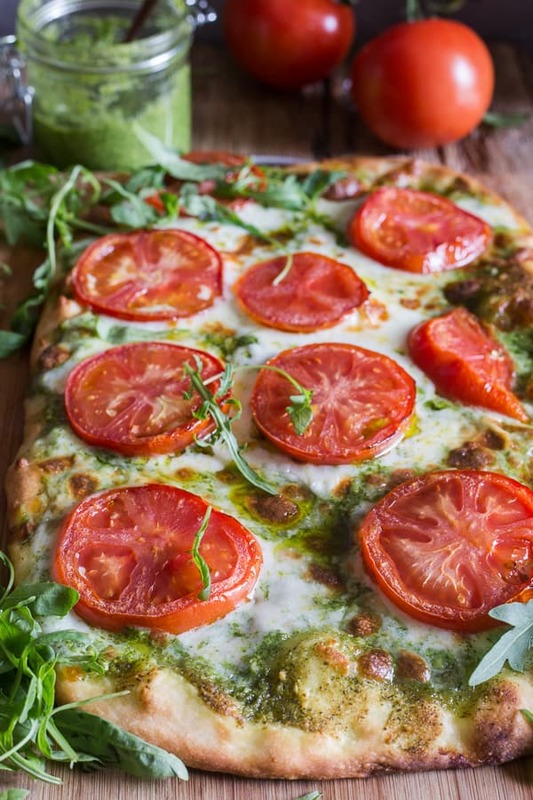 What is the best dough for Pesto Pizza with Mozzarella and Fresh Tomatoes? 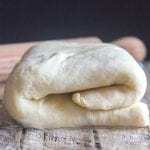 In my opinion dough is important, so either choose a good store or bakery bought Pizza dough or if you would love to try your hand at an easy homemade Pizza Dough, then this is definitely one of the Best Pizza Doughs I have ever made. And the only one I make. Since it’s Friday and that means the weekend! I thought this would be the perfect recipe to share. So why not try a different kind of pizza? 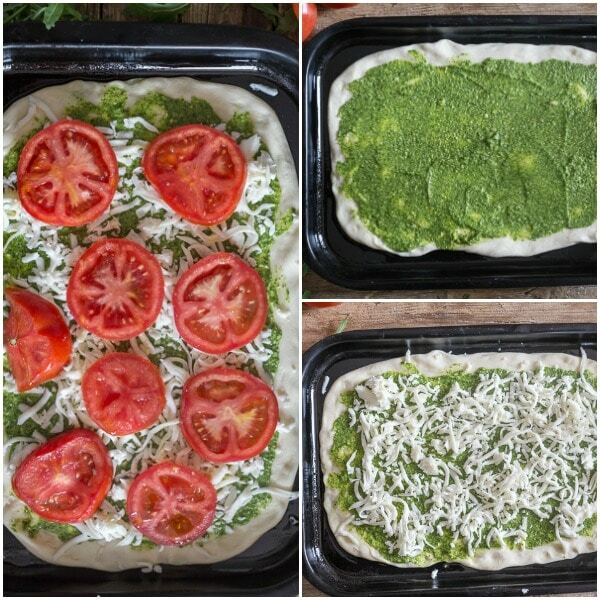 Make some Arugula Pesto or even a batch of Basil Pesto both are so quick and easy to put together, and use some of it to make this honest to goodness out of this world Pizza. Some people may call it a Gourmet Pizza we just called it delicious. Pesto is a traditional condiment typical of Genova the capital of Liguria. Its main ingredient is basil, although now a lot of different ingredients are used to make a Pesto. Originally made using a marble mortar and a circular motion with a wooden pestle, now a food processor makes it fast and easy. All the ingredients including the basil, salt, pine nuts and garlic, Parmesan, and of course extra virgin olive oil were placed in the mortar and combined until a thick creamy paste was made. Pesto is never cooked and is usually tossed with pasta or in this case, used as a base for a delicious Pizza. or experiment and see what you enjoy. 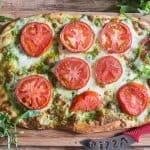 More Delicious Pizza Recipes you may enjoy! So if you are looking for a new way to bring life to Friday or Saturday Pizza Night, I definitely think this is it! So if you do make it I would love to hear your take on it. Buon Appetito! Pre heat oven to 425 F (220 C). 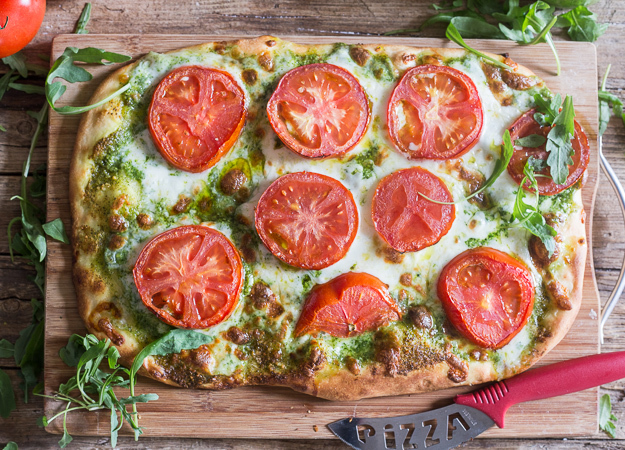 Shape the dough into a lightly greased pizza or cookie sheet, spread the Arugula Pesto or Basil Pesto (if you prefer) on top, then top with shredded mozzarella and sliced tomatoes. 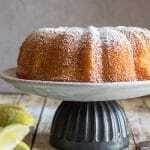 Drizzle with a tablespoon of olive oil and sprinkle with a little salt. 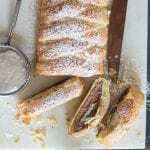 Bake for approximately 10-12 minutes or until crust is baked and cheese is melted. Let sit 5 minutes before serving. Enjoy! 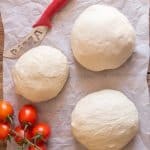 **Whether store bought or homemade pizza dough should rest for approximately 20 minutes before shaping into a round or oval shape. It keeps the dough from springing back when shaping.